In this exclusive audio interview Emmy Winner Charlotte Robinson host of OUTTAKE VOICES™ talks with actor/producers Kit Williamson and John Halbach about the second season of their hit TV web series “EastSiders” on VIACOM/LOGO. Last season their critically acclaimed dark comedy starred Van Hansis (As the World Turns) and Kit Williamson (Mad Men) as a gay couple struggling through staying together in the aftermath of infidelity. 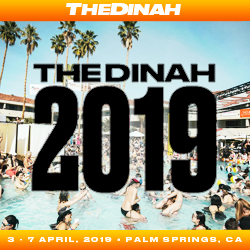 The new season will have exciting new storylines and additions to the cast including Willam Belli (Drag Race, Nip/Tuck), Satya Bhabha (New Girl, Scott Pilgrim vs. the World), Brea Grant (Heroes, Dexter) and Vera Miao (Best Friends Forever) as a lesbian couple. “EastSiders” first season was successfully funded via Kickstarter after reaching their goal within four days. Their second season Kickstarter goal of $125,000 must be met by May 14th or they will not receive any of the funds. 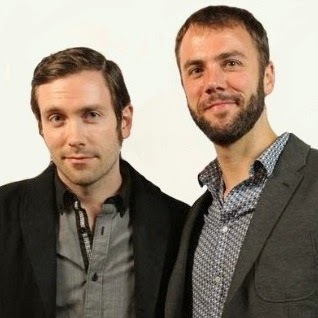 We talked to Williamson and John Halbach about “EastSiders” and their spin on our LGBT issues. “EastSiders” experienced a whirlwind year that included making its cable broadcast debut as a feature film on LogoTV. “EastSiders” won the Indie Series Awards and LA Web Fest. They secured DVD and International VOD distribution from Wolfe Video and released a new web comic. “EastSiders” will begin shooting a second season this summer. Kit and John's comments about homophobia in entertainment community and discriminatory laws in Mississippi were very revealing and need to be exposed. It appears that the best source of LBGT programming is on the web. I'm looking forward to watching Eastsiders. Thanks for sharing these voices.